A photographic exhibition by the WAVE Injured Group. 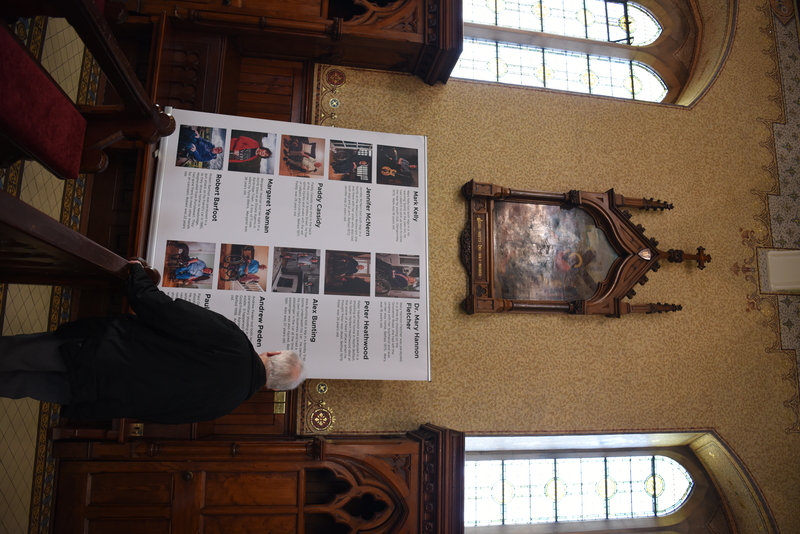 These documentary photographs were taken within Clonard Monastery, to record the exhibition by WAVE trauma centre, today, as part of the ‘4 Corners Festival (Bringing people together)’: ‘Scandalous Forgiveness’ and Towards a Forgiving City (Reflecting with grace and thanksgiving). All these disabled people were injured during the Northern Ireland Troubles. Margaret Yeaman & Paddy Cassidy. Andrew Peden, Peter Heathwood & Paul Gallagher. Margaret Yeaman, Paddy Cassidy & Robert Barfoot. Previous Previous post: Product titles: Photographs. Next Next post: Bygone Era, ‘Ulster Folk’ – Photo Story.